Tsunami Soft Baits - Fitted with Mustad Ultra Point hooks. 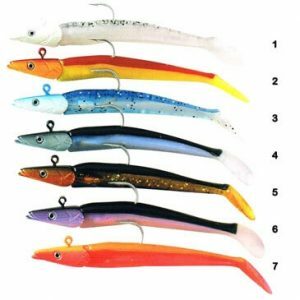 Tsunami Soft Baits are designed to create swimming actions that trigger strikes from predatory fish. 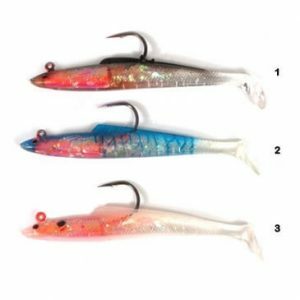 Specially designed holographic foils utilise any light filtering through the water to create fish-attracting flashes representative of baitfish schools. The high-tech transparent materials offer Aussie anglers an attractive colour range including life-like natural colours and high-vis colours for dirty water or low-light conditions. 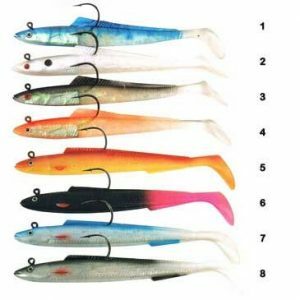 Tsunami soft plastics use an extra-tough formulation to reduce damage from toothy fish so you catch more fish per lure. The precise weights used in Tsunami pre-rigged lures ensure perfect lure swimming performance and easy casting. All Tsunami pre-rigged soft plastic lures are fitted with chemically sharpened Mustad Ultra Point hooks, offering excellent penetration and corrosion resistance.